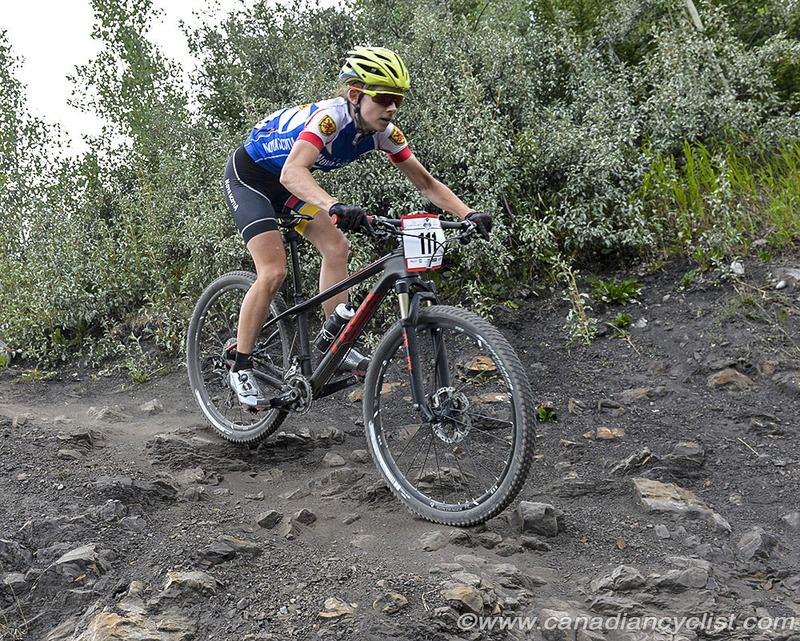 The Canadian XCO Championships return to Canmore, Alberta, on July 21-22, for the second consecutive year. The Canmore venue, site of the 1988 Olympic cross-country skiing events, remains as spectacular as ever, with a backdrop of the Kananaskis Country mountains leading into the Banff National Park. Last year, the circuit was revised substantially from when the Championships were previously held in 2010 and 2011, reflecting the change to shorter courses at the World Cup and world championship level. The previous course measured 6.8 kilometres, while current circuit is four kilometres in length, looping back into the main finish bowl area multiple times. For this year, organizers have made further tweaks to the course. 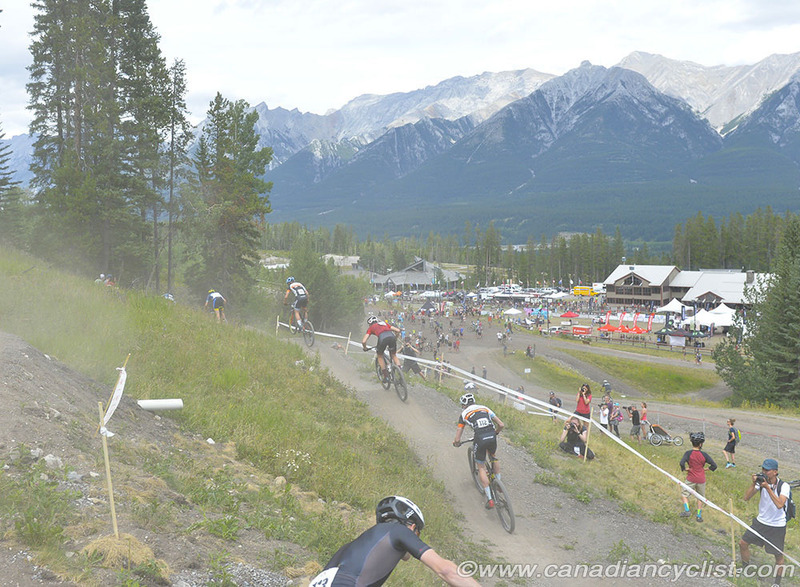 "We are thrilled to return to beautiful Canmore, Alberta, for the 2018 edition of our XCO Canadian Championships," said Josh Peacock, Competition Coordinator at Cycling Canada. "Riders were treated to a world class race course in 2017, and organizers have been hard at work to add more challenging features that will be sure to test Canada's best as they compete for the coveted maple leaf jersey. With all of Canada's biggest names in XC anticipated to attend, we're expecting some close battles on one of Canada's most technically challenging XC race venues." 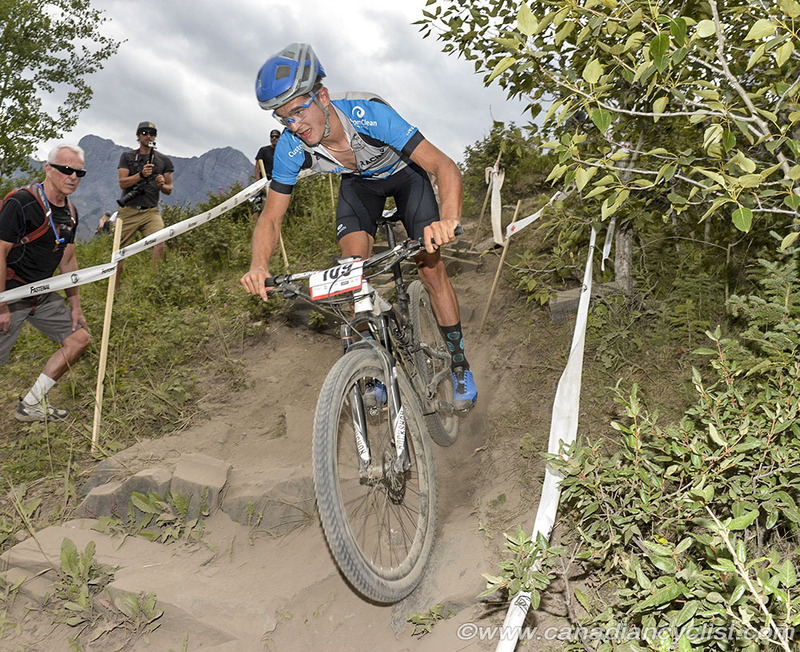 The Cross-country championships for men and women will take place on Saturday, July 21st, for categories ranging from Cadet (Under-17) through Junior (Under-19), Under-23, Elite and Masters. On Sunday, July 22nd, the Team Relay event will conclude the Championships. The Elite women's race will see Emily Batty (Trek Factory) go for her fourth title, fresh off back-to-back podiums in World Cup competition. One of Batty's main rivals will be missing - Olympic bronze medalist Catharine Pendrel (Clif Pro Team) is recovering from an injury suffered in training. 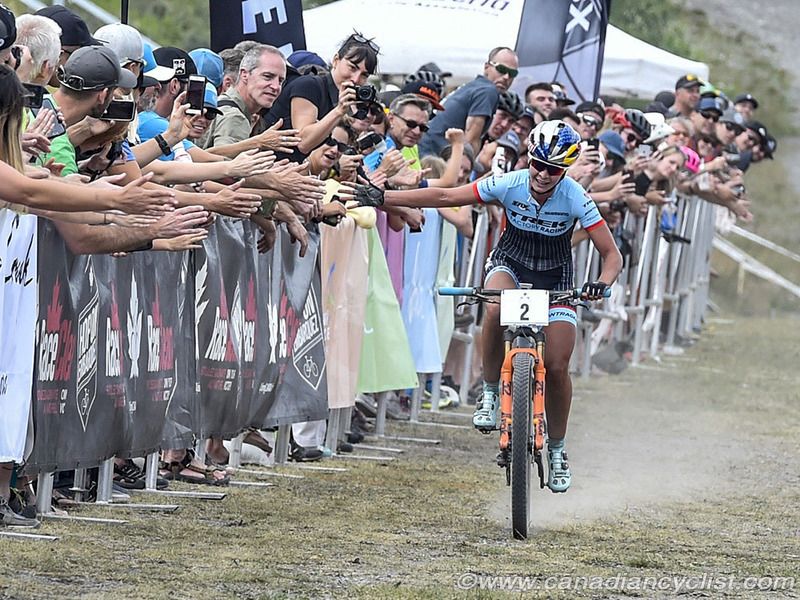 However, Haley Smith (Norco Factory) and Sandra Walter Liv Giant) have shown that they are potential challengers for the podium, with both scoring multiple top-20 results on the World Cup circuit this season. 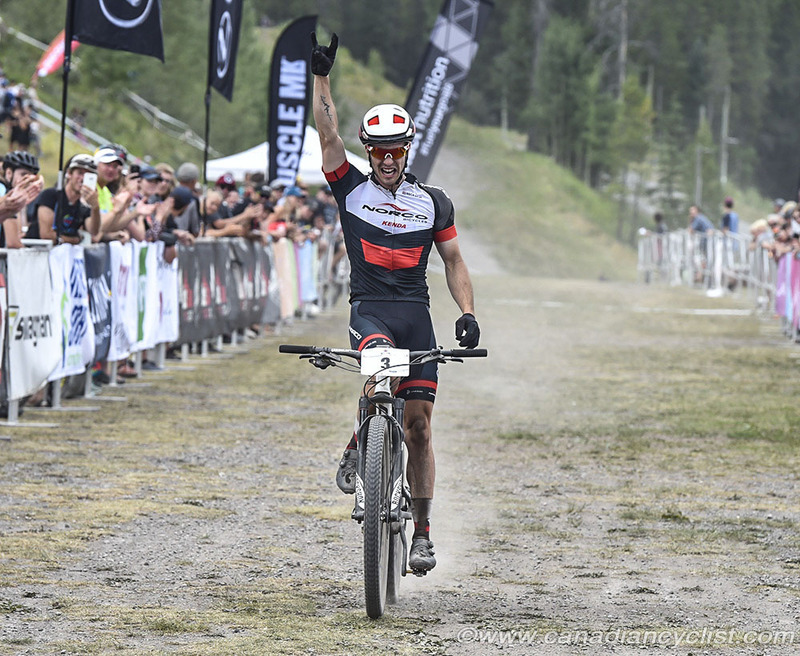 The men's race has a deep field of contenders, including top Canadian World Cup ranked Leandre Bouchard (KMC-Ekoi-SR Suntour), defending champion Peter Disera (Norco Factory), Rio Olympian Raphael Gagne (Silverback OMX) and Andrew L'Esperance (Forward Racing Norco).